There's a broad consensus that the exhaust lets out an incredible, heart-pounding roar that by itself makes the car a joy to drive. This kind of glorious racket makes me nostalgic for my younger days, when I would do things like alternately floor the gas and the brakes on the highway just to hear the revs climb again and again — or keep a car in first gear at 35 mph just to listen to the engine during an otherwise boring drive. Now I'm a cranky thirty-something, who shakes his fist at loud cars zooming by my house. There's a guy who drives a Cobalt down my street at 1 AM every night and I hate him. The same goes for the neighbor around the corner who idles his F-250 Power Stroke for a half hour every morning. But if either of these people were doing the same with an F-TYPE, I would bake them cookies. 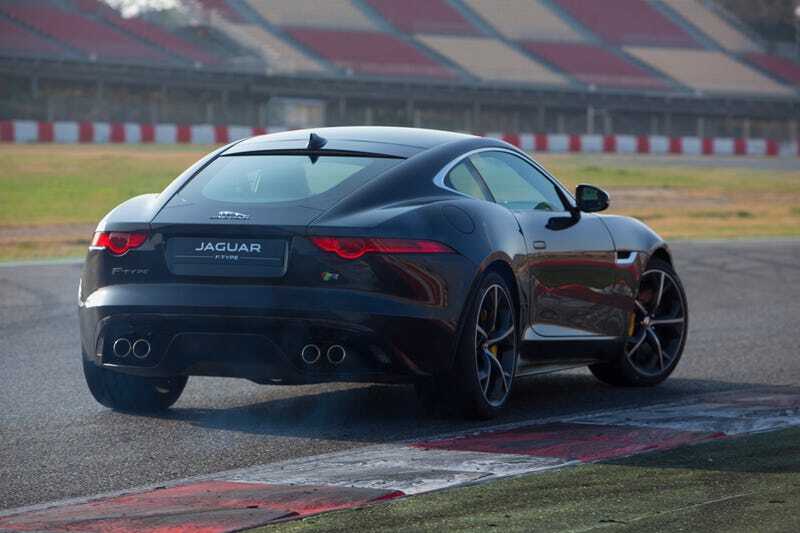 Because the F-TYPE is what I want cars to sound like. That little tingle you get around the Jaguar F-TYPE is something every car should give you, but is sadly lacking in the modern automotive world. Adding to the goosebumps is its active exhaust system. A button on the center console that makes the electronic exhaust valves open up wider and more often, changing the volume from awesome to more awesome. I'd go a step further and say that a tangible button like this is infinitely more satisfying than a menu on a touchscreen, but that's a different rant. What matters is that it allows you to keep things reasonably subdued when you want to be a conscientious neighbor — and then, when you're nowhere near where I sleep at night, you can hear all the glory of up to 550 horsepower and eight cylinders. Seriously, take a listen again and tell me you don't miss the days when noise was something to revel in. I'm happy to report that those days are back.